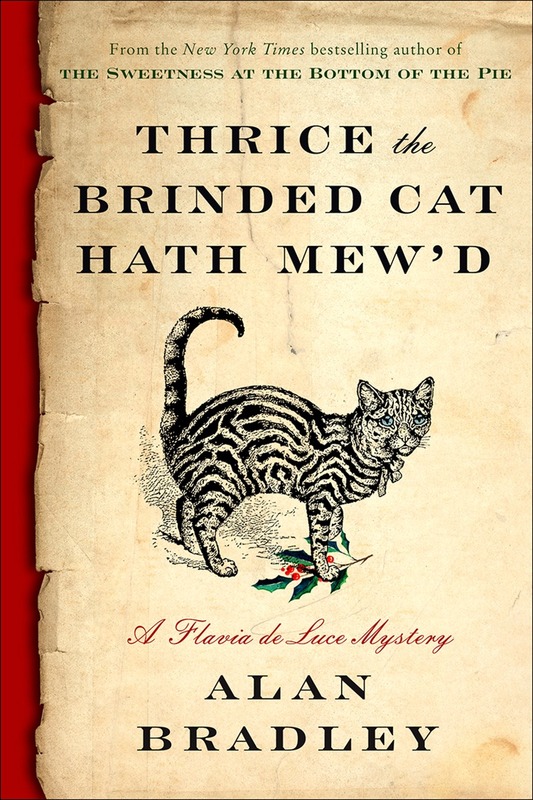 To visit or join the popular Flavia de Luce fan club, click here! Bestselling author of the Flavia de Luce mystery series Alan Bradley will deliver the Eighteenth Annual Baker Street Irregulars Distinguished Speaker Lecture on Thursday, January 8, 2015, at the Midtown Executive Club in New York City. Although membership in the New York-based BSI is by invitation only and is made up primarily of well-known mystery authors, this lecture is open to the public. Tickets must be purchased in advance. The Baker Street Irregulars (BSI) is an organization of Sherlock Holmes enthusiasts founded in 1934 by Doubleday Editor Christopher Morley. Formal members are known as “investitures” and bear club titles derived from the Holmes stories. The organization convenes every January in New York City for an annual dinner celebrating Sherlock Holmes’s birthday, which forms part of a weekend of celebration and study involving other Sherlockian groups and enthusiasts. Sherlockians from all over the world gather for the event. With the exception of the annual dinner of the Baker Street Irregulars, the events are open to all Sherlockians. The present leader of the BSI (referred to in group jargon as the “Wiggins”) is Michael Whelan of Indianapolis, Indiana. The leader is elected for life and selects his successor. The BSI is considered the preeminent Sherlockian group in the United States and one of the most preeminent in the world. Previous Distinguished Speakers include Sir Christopher Frayling, educationalist, writer and popular culture aficionado; Owen Dudley Edwards, university educator and Doylean expert; Madeleine Stern, renowned rare book dealer; Nicholas Meyer, writer and film director; award-winning writers Laurie R. King and John Lescroart; and Dr. Lisa Sander, physician, writer and Yale educator (and technical adviser for House). For this rare visit on this side of the pond, Alan will arrive in New York on Wednesday January 7 and will participate in most of the events on the schedule. Following the weekend, he will tour in Montreal, Ottawa, and the Toronto area. For further information about Alan Bradley and his books, see the Bukowski Agency.